We moved into our home last year, and ever since, I’ve wanted to do a gallery wall above my desk in my bedroom. I kept putting it off, though, because I thought it would be too hard. This weekend, thought, I decided to just go for it. And guess what? It was easier than I thought! 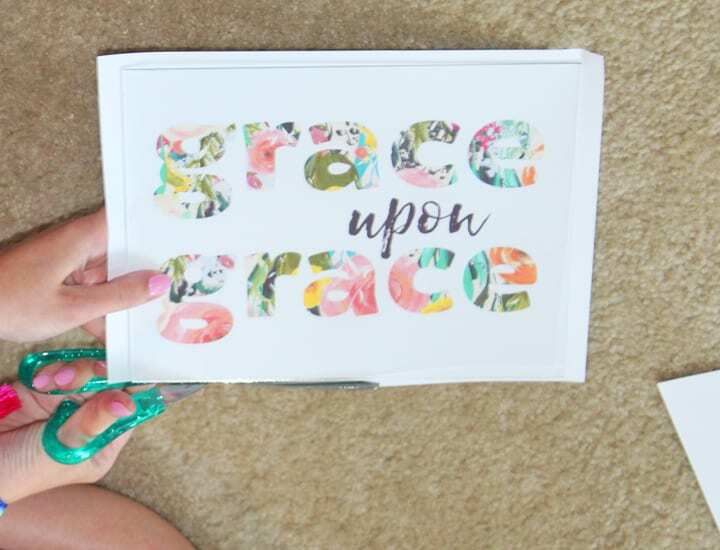 – 7-10 printables/prints in varying sizes. 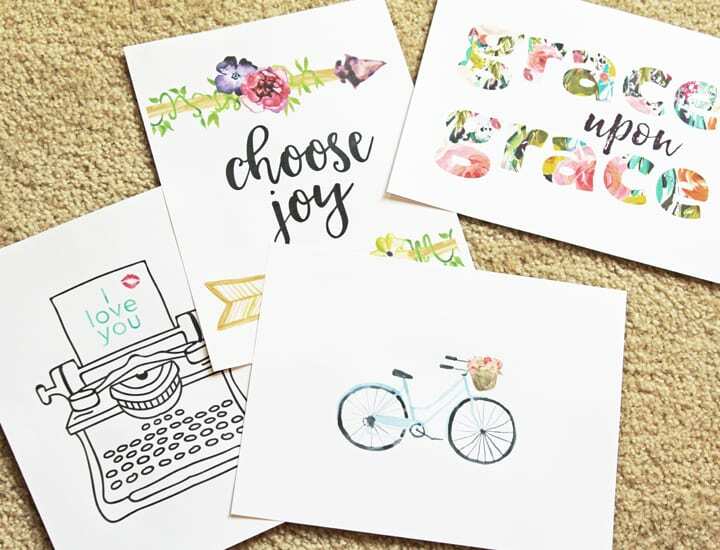 First, find some printables that you like online. You can either Google “free printables” or search Etsy for certain printables (I suggest limiting your search to $5 or less). My printables came from here and here, but I found cute free printables here. Keep in mind that you will want a mix of vertical and horizontal prints as you’ll be going for a hodge-podge look. Now, print these off in sizes you will use–mine are mostly 8″x10″ and 5″x7″. I used my HP DeskJet 3752 All-in-One Printer, which I’ll talk a little bit more about below, and printed the prints on regular computer paper. You could print them on cardstock instead, but regular paper worked fine for me. 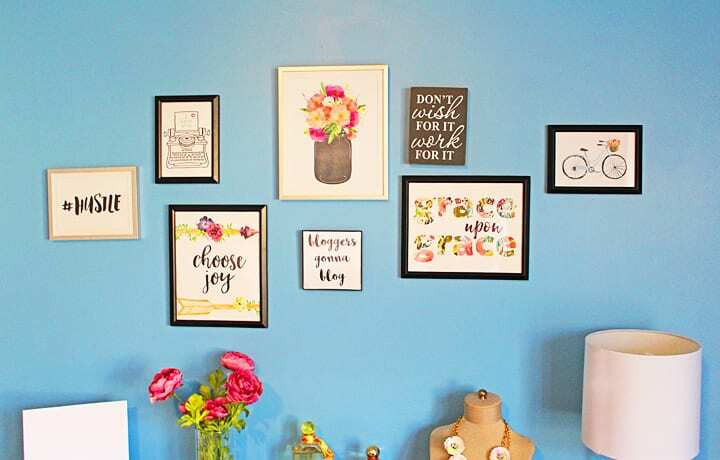 Next, find picture frames for your prints. I used mostly black frames, but mixed in two silver ones to add depth to the gallery wall. Cut your prints down to size and place them in the frames. I recommend using the glass from each frame as a guide for cutting down your prints. 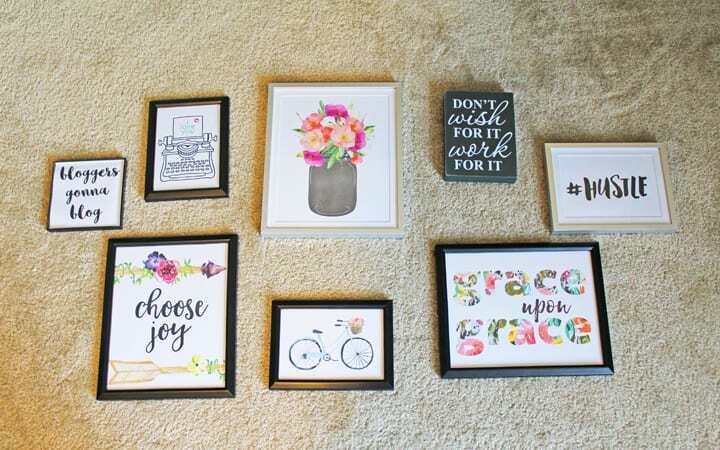 Then, lay out your frames on the floor to get an idea of how you’d like to hang them on the wall. At this stage, you might find that a print you thought would look better as an 8×10 actually looks better as a 5×7 (I did!). Finally, hang your prints on the wall. 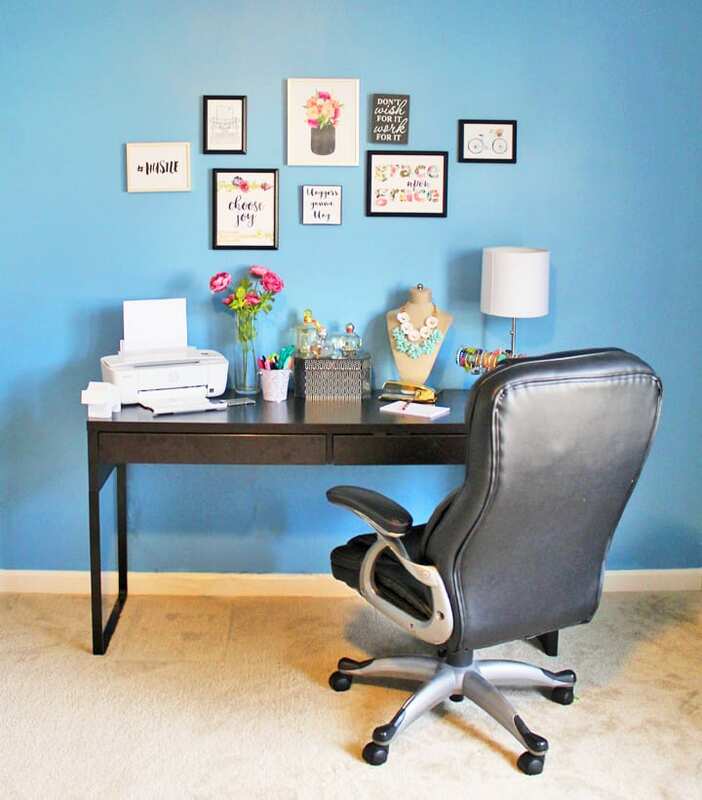 Start with a big central print and build out your gallery wall from there. 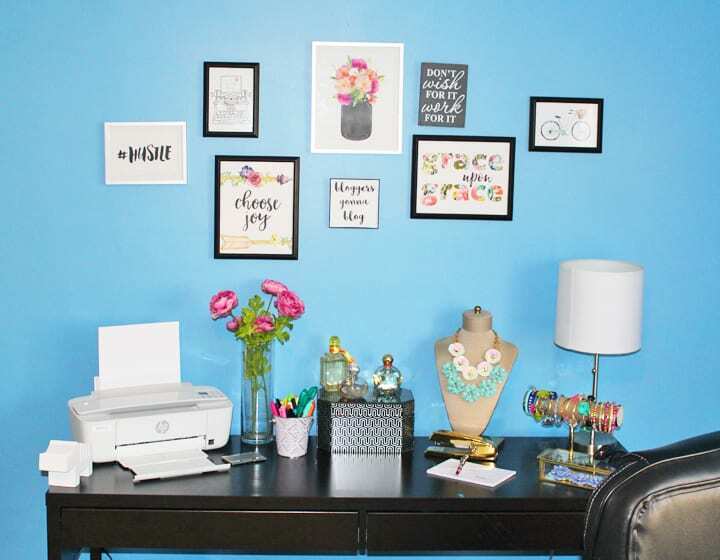 As you’re hanging, don’t be afraid to swap prints or move things around. The thing about gallery walls like this is that they don’t have to be perfectly measured. I actually like it when they look a little undone. That said, be sure to use a level (or a level app on your phone) to make sure the frames are straight. Instead of placing the level on the top of the frame, which can knock it askew, place it against the bottom of the frame instead. Ta-da! 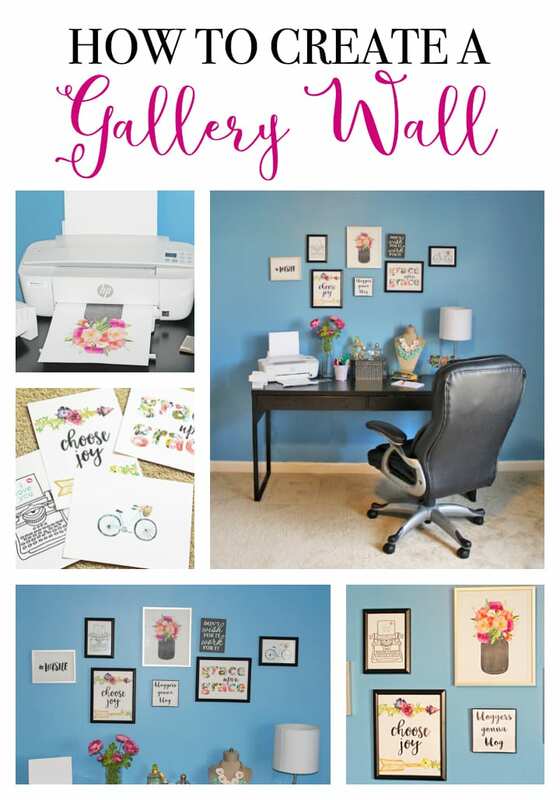 You now have a gallery wall! 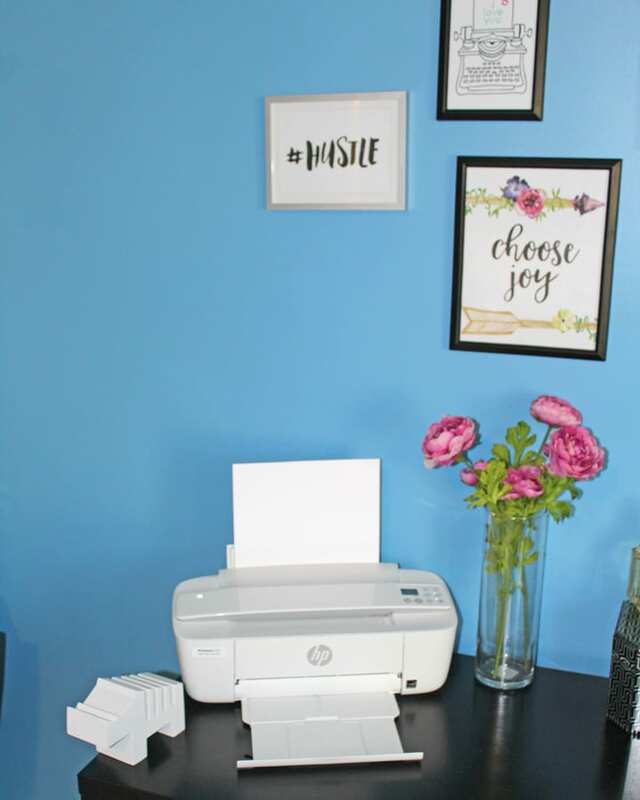 It was fun to use my HP DeskJet 3752 All-in-One Printer for this project! 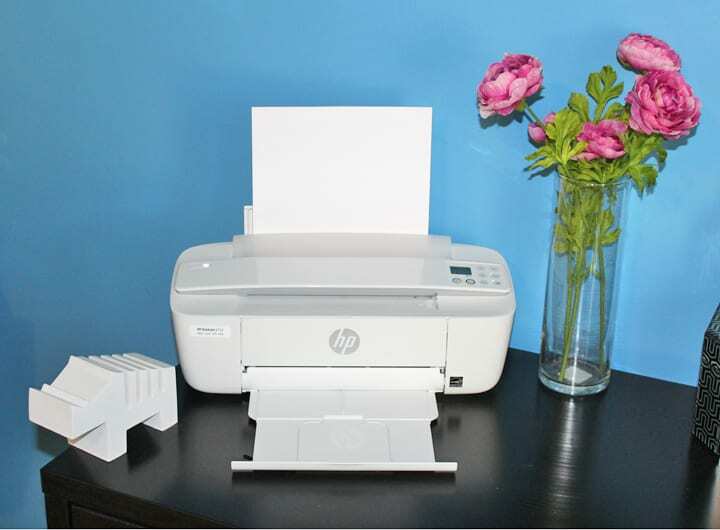 HP printers have a great price point for the value. This one is so tiny and lightweight–it’s actually billed as the world’s smallest all-in-one printer. It’s awesome not only for young professionals like me to use in their home office, but also for students to use in their dorm rooms as well. I also like how affordable the ink is. You can print 2.5 times as many pages with option Original HP high-yield ink cartridges, and you can recycle them at no charge. Also, I love that this printer doesn’t clutter up my desk, but can still do everything I need. It includes the HP Scroll Scan for added convenience. And everything is wireless! While I used my laptop for this project, I can even print from my phone or tablet! 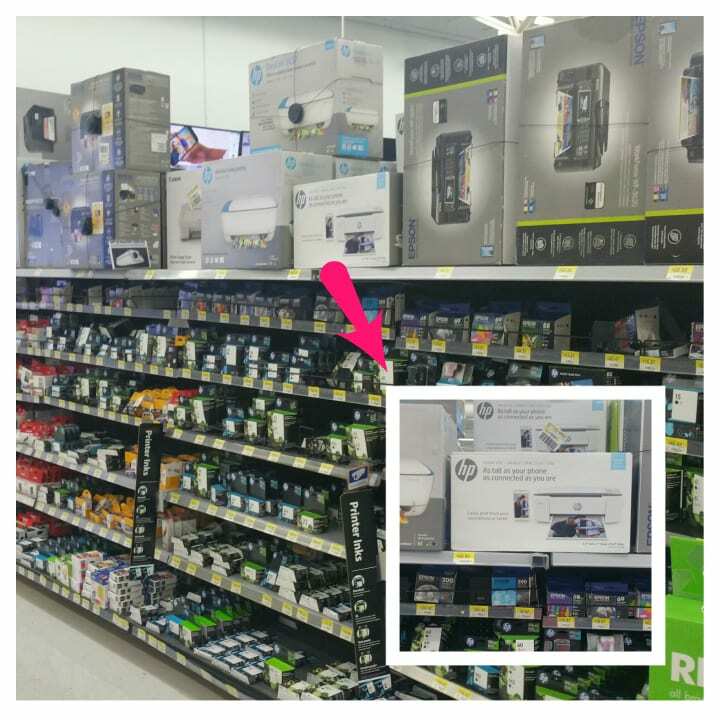 These printers are all new, and you can find them at Walmart.com or at your local Walmart in the printer and ink aisle. 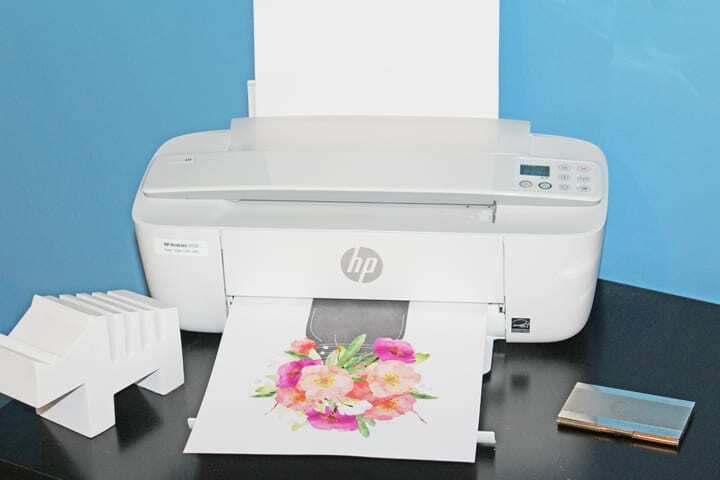 And check out other creative ideas of what you can accomplish with HP printers here.